Small approximately 5 1/4 inch tall and about 2 1/2 inches in diameter. 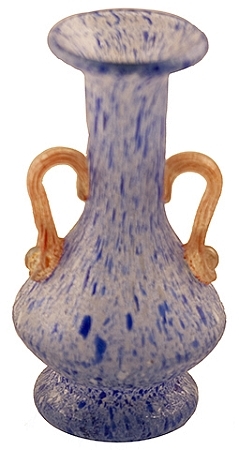 This mouthblown vase is in the scalvo technique with frit on the exterior which you can feel. Frit is small crushed glass used in applying colors.